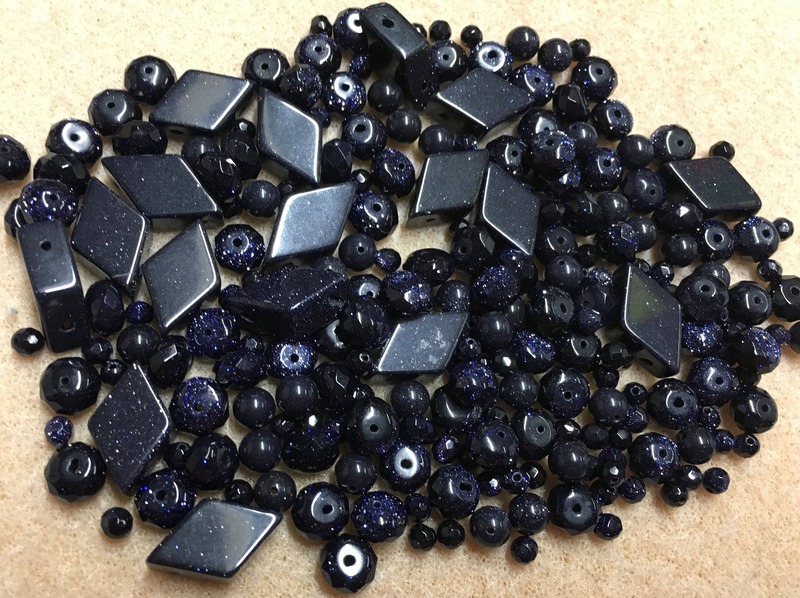 Dark Blue Goldstone glass beads in mixed shapes and sizes. Triangles are 17mm x 10mm, 5x7mm rondelles, 6mm smooth rounds and 4mm faceted rounds. You will receive the beads shown in the picture, only one bag available.